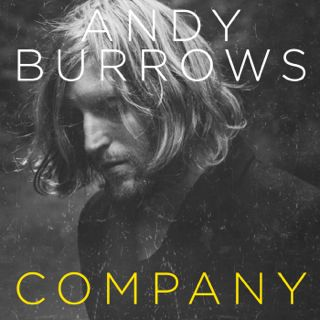 A supremely talented songwriter and multi-instrumentalist, Andy Burrows first came to attention with Razorlight, joining as drummer in 2004 and going on to co-write some of that band’s biggest hits, including the #1 single, America. Leaving Razorlight in 2009, Burrows joined We Are Scientists as a part-time member, before releasing the album Sun Comes Up Again, under the moniker I Am Arrows, in 2010. Sun Comes Up Again garnered righteous critical acclaim and massive radio airplay for its Green Grass single, and saw Burrows and his band tour extensively, with headline shows and festival dates, as well as stadium shows as guests of Muse. What followed for Burrows was an incredibly prolific purple patch. First he joined up with long-time friend and Editors frontman Tom Smith as Smith & Burrows for 2011’s Funny Looking Angels, an album of wintery vignettes and Christmas melancholy. Then, he agreed to decamp to New York to become a full-time Scientist. Amidst all this, he has been hard at work on his own material, using a morestraight-ahead approach than on his debut, all of it injected with Burrows‘ way with an earworming hook. The result is an album that’s Andy Burrows’ truest yet. If the radiant Sun Comes Up Again was imbued with a deliberate contrary streak, then here he embraces a straight-ahead approach, building an album steeped in rock classicism and raw, melancholic melodies. The result is effortlessly intoxicating. The plaintive, euphoric swirl of Hometown sits at the centre of the record. A stark beginning that gives way to an orchestral whoosh before coming to a sudden end just as you think it might explode into a classic prog opus, its less-is-more approach sums up the whole record. Elsewhere, the single, Because I Know That I Can, marries a sound reminiscent of On The Beach-era Neil Young with Doobie Brothers grooves against the backdrop of a tale of emotional battle where, as Burrows says, “two people try to out passive-aggressive each other”. Then there’s the rock’n’roll stomp of Keep On Moving On. Emerging during studio time with Mark Ronson (Ronson has a co-credit) and Andrew Wyatt, Burrows’ decided he liked it so much he wanted to keep it for himself. Its Brian Wilson harmonies, summer-of-love groove and Guitar Hero solo (courtesy of We Are Scientists’ Keith Murray) showcase a previously-unseen swagger. When Burrows says that Company marks the first time he’s had to confidence to make a record “exactly how I felt musically and lyrically”, Keep On Moving On is the proof. Whilst the string swells and hazy, percussive march of Company, the bittersweet Lennon-esque Somebody Calls Your Name and the atmospheric dreaminess of Stars are delivered with a charming restraint, the incessant pound of Shaking comes across like peak-era Supergrass. All are injected with Burrows’ way with an earworming hook. Company is the sound of an artist who’s thrown the shackles off and emerged as an bewilderingly creative tour-de-force.